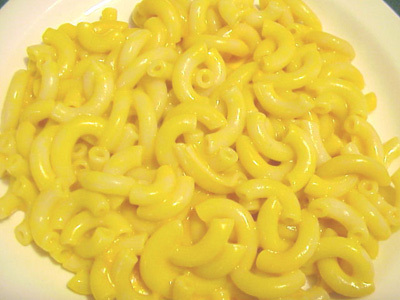 Generic macaroni and cheese: A low-cost staple for those living on food stamps. On September 14, the Jewish Council for Public Affairs will be launching a national anti-poverty campaign called "There shall be no needy among you" (Deuteronomy 15:4). The campaign is designed to provide multiple opportunities for community members to fulfill Deuteronomy's call to action. It is hoped that the campaign will "re-energize the organized Jewish community around combating domestic poverty (and) ensure that poverty becomes a first-tier issue in the 2008 election". JCPA will launch the campaign with what is known as the "food stamp challenge". Participants are being encouraged to spend the week between Rosh Hashanah and Yom Kippur (September 14 - 21) subsisting on the budget of the average food stamp recipient: $1 per meal per day ($21 for the week). JCPA Executive Director Rabbi Steve Gutow explains that "the challenge is designed to call attention to the inadequacy of the food stamp benefit and to galvanize support around a strong reauthorization of the nutrition title of the (2007) farm bill", which is being voted on by the Senate during that week. Leaders from close to two dozen communities across the country have committed to taking the challenge with JCPA as a dynamic way to become engaged in the anti-poverty campaign. If you are interested in receiving resource materials on how to take the food stamp challenge, contact Melissa Boteach or call (202) 212-6039. If you are interested in getting involved in the JCPA anti-poverty campaign, contact Burt Siegel, director of the Jewish Community Relations Council of the Jewish Federation of Greater Philadelphia or call (215) 832-0651. Surviving on $21 per week. I’ll be the first to admit that cooking isn’t my strong suit. Don’t get me wrong: I enjoy a delicious homecooked meal – as long as I’m not the person preparing it. In fact, it’s come to be somewhat of a joke among my family and friends: If you’re hosting a holiday or other food-focused gathering and are looking for contributions, you can call Eric… and he’ll connect you to a deli, supermarket or restaurant conveniently located in your neighborhood. And so it was with some trepidation that I signed up this summer for the Food Stamp Diet Challenge, a weeklong experiment in limiting my food budget to the amount provided by the federal food stamp allotment. With $21 per week, buying lunches and dinners out was clearly not going to work. I would have to conquer my low cooking self-esteem and make a trip to the grocery store. What I found there will be little surprise to anyone. Eating on $3 per day – and doing it nutritiously, in a way that would leave a person feeling satiated – was not just going to be a challenge; it was a near impossibility. Most of my career has been spent in the halls of higher learning, and I decided to approach the project like any academic – relying on sound research before drawing my conclusions. I started with produce, and quickly realized how foolish a choice that had been. At $1.89 each, avocados were not only out of my budget; they were more than 50% of what I was allowed to spend in an entire day. Red bell peppers, a particular favorite of mine, weighed in at $5.99 per pound, fine if that was all I wanted to eat for 48 hours. I thought it might be a good time to head to another section of the store. Protein seemed like an important thing to have. I am careful about the meats I consume, high cholesterol being one of my more unfortunate genetic legacies. White meat chicken is about the only thing I’ll allow myself – but, at $6.49 per pound for boneless, skinless breasts, the thigh fillets for almost half as much looked awfully tempting. So, what could I buy? Beans. A lot of canned beans: garbanzos for 79 cents, black beans for 89 cents. And boxes of macaroni and cheese, though even there I was in for a bit of sticker shock: Kraft, a cornerstone of my childhood, went as high as 33 cents per ounce. Instead, I opted for the no-name box, a more sensible four cents per ounce. The Food Stamp Diet Challenge impacted more than just my bottom line. It was physically debilitating, and emotionally exhausting. I was lethargic and found that I lacked my usual enthusiasm for getting through the day. I had difficulty reading, writing, communicating – doing anything other than anticipating (and, in some ways, dreading) my next meal. Every year at the High Holy Days I try to find words that connect each of us to our liturgy and tradition, words that educate us about the ways that we are commanded by our texts and our faith to lead a prophetic call for change. This year, on the heels of my Food Stamp Diet Challenge experience, I have no words. Because, for the first time, I realize in an immediate and personal way that words alone will not provide sustenance or bring justice to millions of families whose only crime is getting stuck in a cycle of poverty. Words without action are just words – lovely, but empty as the stomachs of 35 million Americans facing hunger. These holy days are a time for reflection. But for reflection to mean something, it must be followed by change. This year, there is something we can all do to make an immediate difference: ask our senators and House members to support full extension of the nutrition title in the Farm Bill now before Congress. It is the Farm Bill that authorizes food stamps and other key federal nutrition programs, without which millions of hungry families would simply not be able to get by. We have reached the threshold of another new year. Let us pledge, you and I, to cross it together, committed to a future in which food stamps, the majority of which go to feed children, require neither a diet nor a challenge. Hungry people deserve better. We all do. H. Eric Schockman, Ph.D. has been President of Mazon: A Jewish Response to Hunger since January 2001. Eric presently serves as chair of the National Anti-Hunger Organizations (NAHO), an alliance of all major anti-hunger organizations in the nation. He currently sits on the California Postsecondary Education Commission, an appointment made by Governor Arnold Schwarzenegger.